Pale in color with a nose with lots of minerality coming through. On the mid palate the wine matches the nose with some nice crisp dry citrus, maybe even grapfruit coming through and lots of minerality. On the medium length finish the wine displays some nice vibrant and acidity and the citrus notes linger a bit. 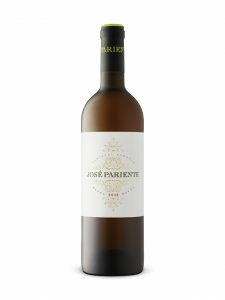 This is a lovely dry food friendly wine, a really lovely example of a Verdejo. I would give it an 88 or so … The LCBO say Full bodied and rich … huh, odd description.